I must tear myself away from the Regional cooling paper to throw this together. It’s too fascinating and too much a potential salve of our collective climate dread to ignore. 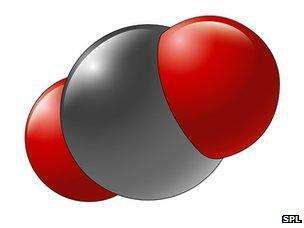 CO2 model: colourless, odourless gas vital to life. The carbon dioxide molecule itself reveals that what activists call a “carbon footprint” is a fallacy. The Greens newsletter this morning from Julie Anne Genter uses the ‘carbon’ argument, which gets no less ridiculous with repetition. Get this for crazy thinking. KiwiRail are thinking of switching our clean electric trains for polluting diesel engines. 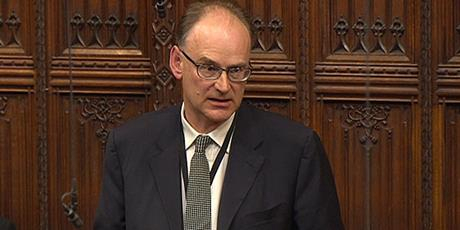 Matt Ridley. One smart Viscount. — by Matt Ridley, January 05, 2013. The global average surface temperature has risen 0.6 ± 0.2 °C since the late 19th century, and 0.17 °C per decade in the last 30 years. Every day some place in the world has “wild weather” and in recent times human industry gets the blame: “It’s all caused by man-made global warming” (generally shortened to “global warming”, or GW, by alarmists). A paper published in Nature on 10 February 2013 could destroy the global warming scare. It has been discovered that Australian coal has a magical property – it is one of a small group of coals which produce an invisible gas with supernatural properties. Did you know that the Earth is getting greener, quite literally? Satellites are now confirming that the amount of green vegetation on the planet has been increasing for three decades. This will be news to those accustomed to alarming tales about deforestation, over-development and ecosystem destruction. The earth would have warmed faster in the last two decades had there not been an unexplained rise in the amount of carbon dioxide being absorbed on land, scientists believe. Scientific American makes the most illogical statement I’ve heard in a while. If there’s no reason for this event, why would one propose it? Big things influence little things. Little things hardly at all influence big things. Please bear this in mind when the topic of climate comes up. Let me elaborate. In the fourth form, little boys do not push big fat boys around and taunt them with “who’s a mummy’s boy, then?” The big fat boys pick on the little boys instead. It just seems more natural. 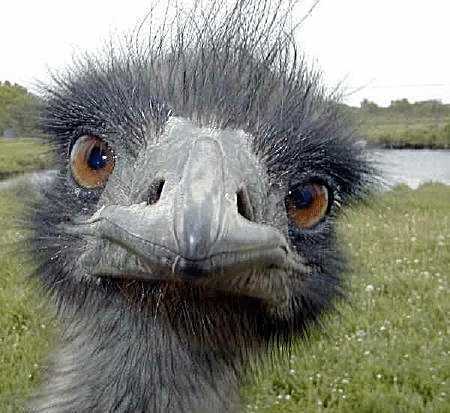 Among animals, rats don’t eat live caribou, lizards leave lions alone and hamsters don’t munch bears. Any animal meeting a tiger fears for tomorrow, and an animal near enough to a lion to distinguish its nose hairs wishes it couldn’t, unless it’s an elephant or cape buffalo. The Associated Press, as reported in the Los Angeles Times, keep to their warmist line. Now they’re keen to highlight a steep increase in carbon dioxide emissions, without letting on that it hasn’t affected the temperature. The global output of heat-trapping carbon dioxide jumped last year by the biggest amount on record, the U.S. Department of Energy calculated, a sign of how feeble the world’s efforts are at slowing man-made global warming. The new figures for 2010 mean that levels of greenhouse gases are higher than the worst-case scenario outlined by climate experts just four years ago. In 2008, the annual increase was half of the year before. Now there’s a crisis? Which just means it hasn’t happened before that we know of. 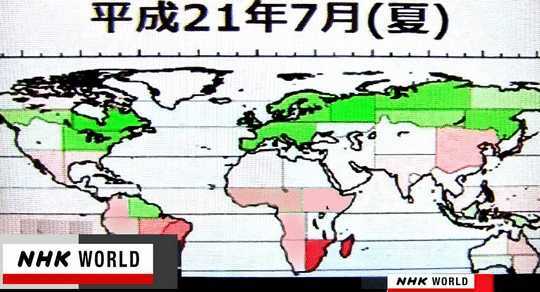 Climate Realists announce that new satellite data from Japanese scientists show carbon dioxide is emitted mostly by the third world, with much less coming from industry in the west. For those asleep in the back, that’s the reverse of our previous understanding (so it’s a confusing result). On the map, pink is where emissions are occurring, green is where absorption is occurring. Hmm, New Zealand apparently doesn’t exist. Panic! Ocean acidification and then what? Evidence that observed or predicted levels of atmospheric carbon dioxide will cause sufficiently strong widespread acidification to harm shellfish is difficult to obtain. Our friend Roger Dewhurst, engineering geologist and founding member of the NZ Climate Science Coalition, went along and paid close attention. Then he sent Mary Sewell the following entertaining and informative letter, which he kindly shares with us to provoke conversation. Past is key to future; CO2 ruined nothing before; there’s no evidence of ruin to come; alarming climate predictions are inconsistent and unconvincing. Thanks for an interesting seminar. Demonstrating that the appendages of a larval echinoderm tend to be stunted when the little beastie is grown in soda water is one thing. To extrapolate that to an absence of oysters, mussels and scallops on the dinner table next year is, in my view, stretching things a little too far. I was reminded of Al Gore’s polar bear on an iceberg! When I was at Victoria University in the 1960s science was divorced from politics, and zoology, botany and geology were separate subjects. Now zoology and botany are lumped together as biology, and geology has been lumped in with geography as earth science and includes — would you believe it — a strand called ‘feminist geography’. I suppose that feminist mathematics is next in the pipeline. Sic transit gloria [“thus fades the glory of the world” – RT]. Gas or coal? The quandary, the indecision! Well, now we have a peer-reviewed scientific paper that says you can. It’s hard to know what to say about Tom Wigley’s new paper on the climatic repercussions of replacing coal with natural gas: he says gas and coal are both good, and they’re both bad, but the truly remarkable thing is that, where for years the greens have been telling us to hate coal and everyone who uses it, now it’s hard to choose between coal and gas. 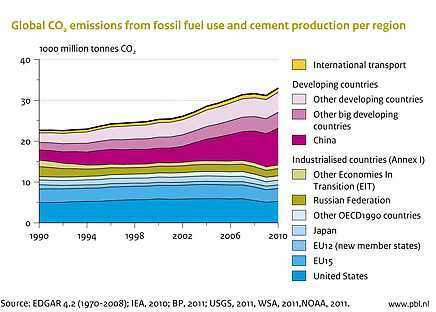 Human emissions of CO2 1990 to 2010. From PBL Netherlands Environmental Assessment Agency. Two days ago we heard about the long-term trend in atmospheric carbon dioxide emissions, copied above. This graph functions as a fine graph of productive output, and doesn’t it reveal the new world order? The countries with the highest emissions are (broadly speaking) doing the most work, making the most money and having the most influence. The sky, location of most of the climate. 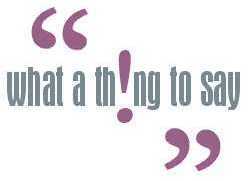 Yesterday I saw the headline: Climate change reducing ocean’s carbon dioxide uptake. If they mean the temperature’s been rising, I thought, these guys need a lesson in 1) recent, 15-year-long atmospheric temperature non-rise and 2) the gas laws, or specifically, Henry’s Law. 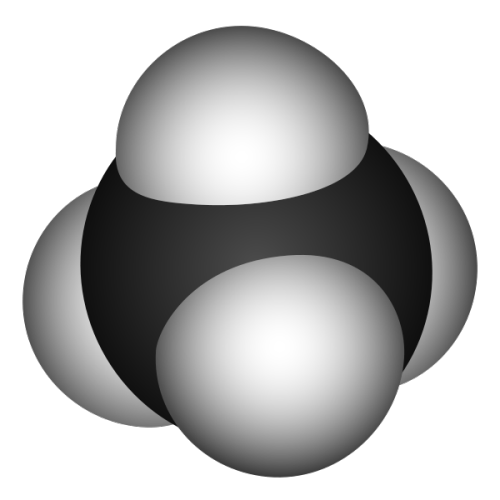 The methane molecule – one atom of carbon with four hydrogen atoms, the simplest alkane and the principal component of natural gas. Burning it in the presence of oxygen produces nothing but carbon dioxide and water. It’s found on other planets, as though it belonged there. We burn far more than we create and create far too little to bother with. The largest natural source apart from deep underground is wetlands. In July last year, and after more than a year’s absence, NIWA got around to publishing another issue of their “flagship” publication, Water & Atmosphere. It’s an attractive magazine, but it contains some curious information which deserves comment. NIWA has a responsibility as a Crown Research Institute to share the results of publicly-funded science. if any real solution [to agricultural emissions] is on the horizon it’s likely to be a closely kept secret. methane levels have grown by 150 per cent since organised animal farming began in the early 1700s. 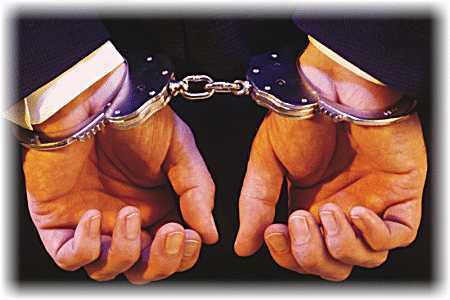 A suit in handcuffs. Only the educated, trusted men can engage in theft on this grand scale — £156 million! This story concerns GST fraud (called VAT in Europe) but there are easier scams occurring in the carbon trading field, based on the simple fact that the only thing being sold is thin air. Actually, it’s worse than that: they’re selling CO2. Unmeasurable, invisible and useless to both buyer and seller. At least air is of some use. What a confidence trick! Sends shivers down the spine, this does. For, not only does “regular” carbon trading take food from the mouths of mothers and babies, but fraudulent activities, increasing costs and therefore prices, take even more. How long before it turns up in New Zealand, if National really does launch its ill-advised scheme on July 1? The most important part of the story waits until the last two paragraphs, though I’ve flagged it in the heading. Further comments below. On 8 March, 2010, David Archibald wrote a guest post on WUWT entitled “The Logarithmic Effect of Carbon Dioxide”. This was brought to my attention recently as an article worthy of attention, so here it is. The greenhouse gases keep the Earth 30° C warmer than it would otherwise be without them in the atmosphere, so instead of the average surface temperature being -15° C, it is 15° C. Carbon dioxide contributes 10% of the effect so that is 3° C. The pre-industrial level of carbon dioxide in the atmosphere was 280 ppm. So roughly, if the heating effect was a linear relationship, each 100 ppm contributes 1° C. With the atmospheric concentration rising by 2 ppm annually, it would go up by 100 ppm every 50 years and we would all fry as per the IPCC predictions. 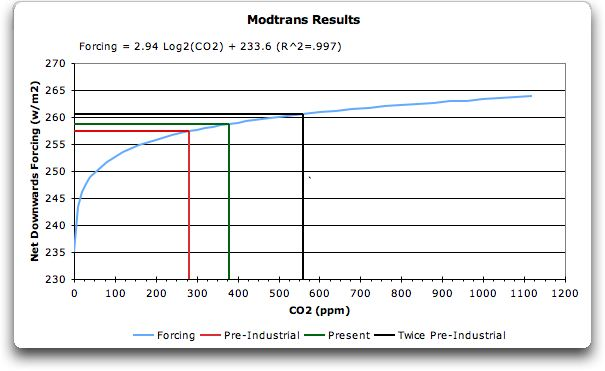 The logarithmic relationship between atmospheric CO2 concentration and temperature forcing. In other words, Willis Eschenbach shows that later increments of carbon dioxide added to the atmosphere have lesser effects on atmospheric temperature. Come tell us your opinion while it’s fresh! We want to know if you think that carbon dioxide dominates the climate. Note that does not mean simply “affects” the climate: do you think it dominates? Because it’s quite clear to us that for carbon dioxide to be declared quite the villain it is made out to be, it must dominate climate in a very dominating way! It must be, in fact, the most dominating thing in a dominantly long time, climatically speaking. It must dominate the climate as a mushroom shades a blade of grass in that completely over-shadowing, dominating kind of mushroomy way. What do you think? Vote here. The science is never settled. Only we are settled. What we knew for certain last week, last year or even for half a life might need reforming today. Over the last ten years or so, as the heat faded from the warming dimension of climate change, so alarm was raised about the dire effects of ocean “acidification”. The mainstream media began to describe the appalling effects on sea life, especially creatures with exoskeletons, of the increasingly “acid” waters being created by higher and higher levels of carbon dioxide (CO2) in the atmosphere. Coral reefs were doomed, many even now were “suffering” and all were in peril of destruction if we continued “spewing” huge quantities of CO2 into the air. Crabs, crayfish, shellfish of all kinds, plankton and krill were all at risk, and their decline spelt doom for the higher creatures in the sea, even unto man himself, who eats them. 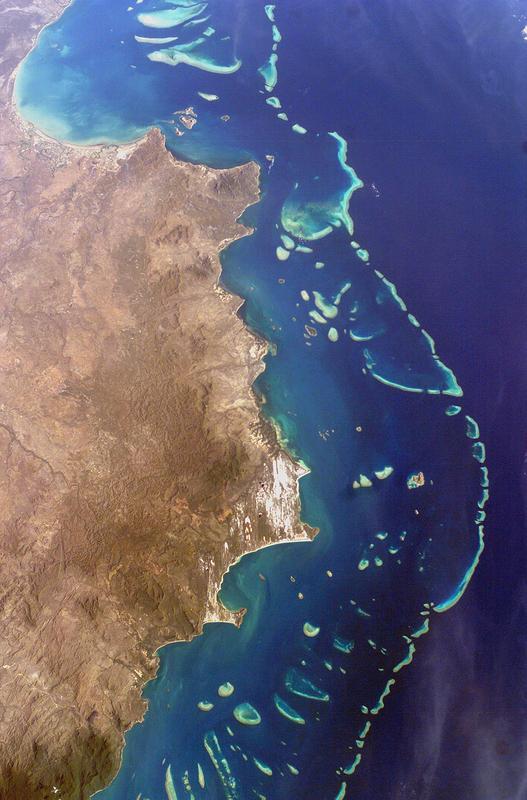 Now, published in the December 1 issue of Geology, comes a remarkable—and remarkably courageous—study from the Woods Hole Oceanographic Institution that shows many denizens of the oceans benefit hugely from that increased CO2. Did you predict that? The study makes it clear that many forms of oceanic life are disadvantaged to some degree by increased acidification, but this message is very different from the hitherto confident, ceaseless prognostications of universal doom proceeding from the pens of the alarmists. The scientists are calling for more detailed studies to be done, because there is so much to learn. And some thought ocean acidification would destroy everything. 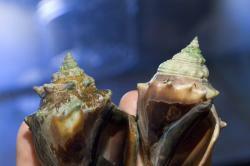 In a striking finding that raises new questions about carbon dioxide’s impact on marine life, Woods Hole Oceanographic Institution (WHOI) scientists report that some shell-building creatures—such as crabs, shrimp and lobsters—unexpectedly build more shell when exposed to ocean acidification caused by elevated levels of atmospheric carbon dioxide (CO2). Sorry, but I guess the paper itself is behind a pay-wall; there’s no link I can find at WHOI. It’s your footprint. What is it to me? Gareth Hughes, an obviously earnest young man, writing in the NZ Herald recently, advises us breathlessly to take all manner of feel-good actions to stave off global warming and prevent any further drain on the national grid. As though the national grid was not supposed to supply energy for our use. That we pay for. Last Sunday the NZ Herald reported on a Kiwi woman, one Emily Hall, now a Greenpeace activist in the UK, who was in a boarding party that recently attacked what used to be called a collier—a vessel used for transporting coal. The Herald’s story contained no censure against Greenpeace’s overt lawlessness. It was a sympathetic treatment of Hall’s experiences with Greenpeace and her and its tactics of rebellion against the Establishment in the name of the environment. 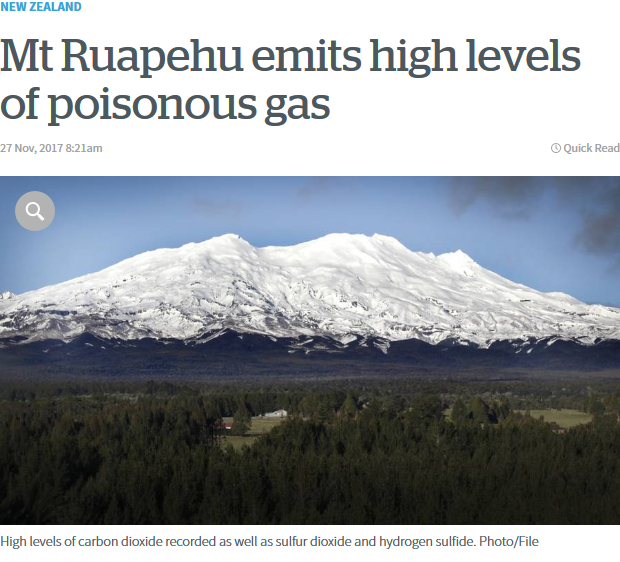 But the story incorrectly described carbon dioxide as “poisonous”. There was nothing wrong with describing the ship’s load as “dirty” coal, since either handling the stuff or burning it inefficiently results in a mess, although modern methods of burning powdered coal, combined with smokestack “scrubbing” of most of the airborne pollutants, is thermally efficient and allows us truly to describe coal as “clean”. But labelling “carbon emissions” as “poisonous” is just plain wrong. Carbon emissions is a euphemism for carbon dioxide and there is nothing remotely poisonous about that. Neither is it “dirty”, regardless of Greenpeace’s clumsy propaganda attempts to link it with the visible pollutants that come from coal. Describing this clean, invisible plant food as poisonous simply attempts to justify Greenpeace’s hostility towards carbon dioxide, and thus legitimise an attack on a vessel and its crew going about their lawful business. The Herald ought to stand aside from the campaign to wrongly vilify carbon dioxide for the activists’ political purposes. Why pick on carbon dioxide? Environmentalists have educated society first to notice, then to condemn and finally to clean up pollution of air, water and land. But now activists focus on carbon dioxide because it warms the planet. We have been induced to fear what we actually prefer. New Zealand’s Emissions Trading Scheme (ETS)—will it reduce global warming? We breathe carbon dioxide and without it we would die. Growers routinely add it to greenhouses (four times the normal level) to make the plants grow better. Forests are growing measurably faster as the level of atmospheric CO2 climbs.